From a distance the most striking characteristics of Tobago are its unspoilt, secluded, sand beaches and crystal-clear waters. Though if you take a closer look, you’ll discover a world of exotic flora and fauna, including over 230 species of bird. The island’s bird population makes bird watching one of the most popular and rewarding activities on the island. 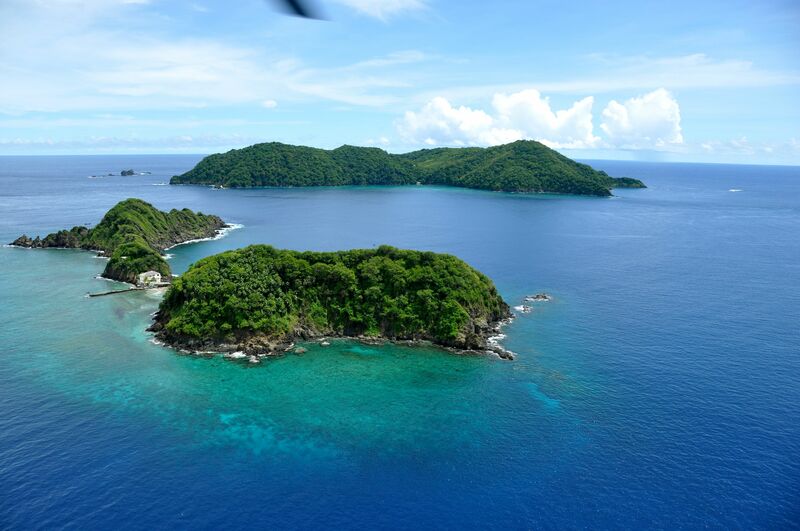 From tropical rainforest, to mangrove swamps, marshland, open country, coastline, gardens, parks, scrubland and even a separate seabird island sanctuary – Tobago is a naturally welcoming landscape for birds. We even have the world’s first protected rainforest – the Main Ridge Forest Reserve. Experienced birders can seek out specific species in these habitats, but you’re never far from enjoying a variety of exotic bird life – even from the comfort of your hotel or villa. 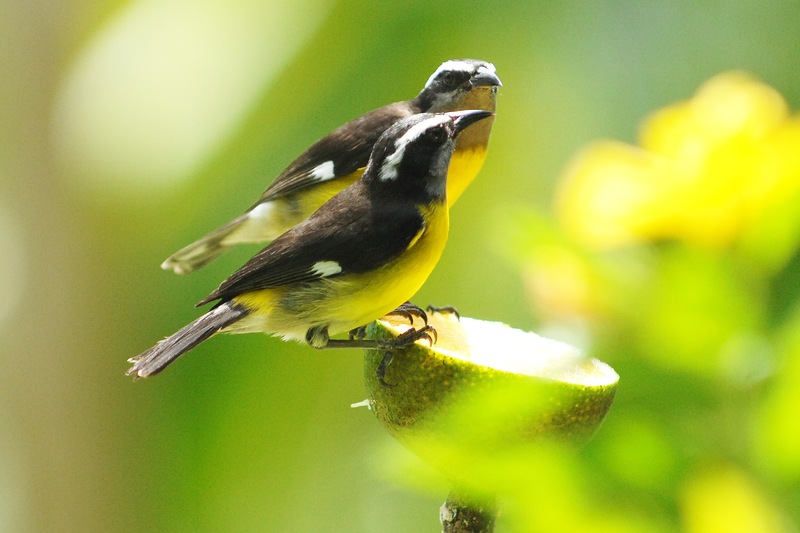 The bananaquit, or sugarbird, might join you at your breakfast table where you’ll see how it got its nickname; you may wake up to the chorus of the tropical mockingbird singing; glance up at a branch and you may spot the strikingly beautiful plumage of the blue-crowned motmot, known locally as the ‘king of the woods’. When’s best for bird watching in Tobago? December to April is the prime time to spot the most birds. Before the wet season, especially March and early April, is when many forest species are at their most active and migratory species, stopping over on the way to North America, are at their peak. You can be assured of good field observations whenever you visit Tobago though, as the island has a huge range of permanent resident birds. 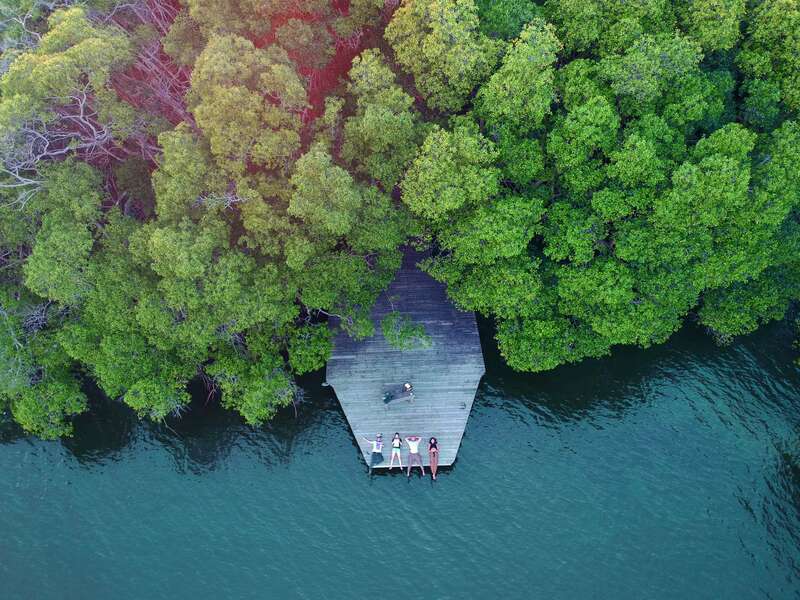 In this historic former cocoa plantation, bird watchers are guaranteed to be delighted. Stroll through one of the forest hiking trails, taking the time to spot the sanctuary’s resident birds from the red-crowned woodpecker and the blue-gray tanager to the barred ant-shrike – any one of which would be a fantastic subject for once-in-lifetime, close-up photography. You may want to schedule your visit around the feeding times, between 8am and 4pm, when the birds will come to you. Some of the motmots are so friendly that you can feed them straight from your hand! Take an easygoing glass-bottomed boat trip from Speyside on Tobago’s east coast to reach this important island seabird sanctuary. On the way you’ll have a chance to spot spectacular corals and brightly colored tropical fish, whilst on the island you’ll be able to see the red-billed tropicbird, sandwich terns and the magnificent frigatebirds in their nesting grounds. The UNESCO-listed Tobago Main Ridge Forest Reserve is the oldest nature reserve in the western hemisphere and has many tempting trails for birdwatchers. The most prestigious, and indeed oldest, of the trails being the Gilpin Trace. The trail is a deserved favorite amongst visitors, delighting both bird watchers and nature lovers. The trail leads through areas that are home to one of the world’s rarest hummingbirds – the white-tailed sabrewing, which was thought to be extinct before being rediscovered in 1974. Other birds that can be seen include fuscous flycatchers, blue-backed manakins (Tobago’s only Manakin) and the white-necked jacobin. In the foothills bordering the Main Ridge, bird watchers can spot the endemic Trinidad motmot, the streak flycatcher, the blue-backed manakin and many more of Tobago’s bird species. On the ground you can see agouti (large guinea-pig like mammals) and other exotic flora and fauna present in the Main Ridge Forest Reserve. Step into the night air on Flagstaff Hill, overlooking St Giles and view spectacular displays from some of Tobago’s nocturnal birds. Highlights include the white-tailed nightjar and, for the extremely fortunate, the striped owl. With stunning views over Charlotteville, Flagstaff Hill is a popular spot for taking in the sunset.